Capacity: Our standard bender is STOUT! We also offer the same frame with some additional hardware to make it have HD capacity, it and can bend 1.75 x .250 wall DOM tube without a problem! If you need to bend 2.00 x .250 chromoly or something else extreme, bump your machine up to the M600 xHD, which is a thicker frame and pins, among other things. For a chart of what frame will bend what range of material,click here (LINK). We have over 25 dies that fit this machine, and we do our best to keep all of them in stock. All dies ship free too! 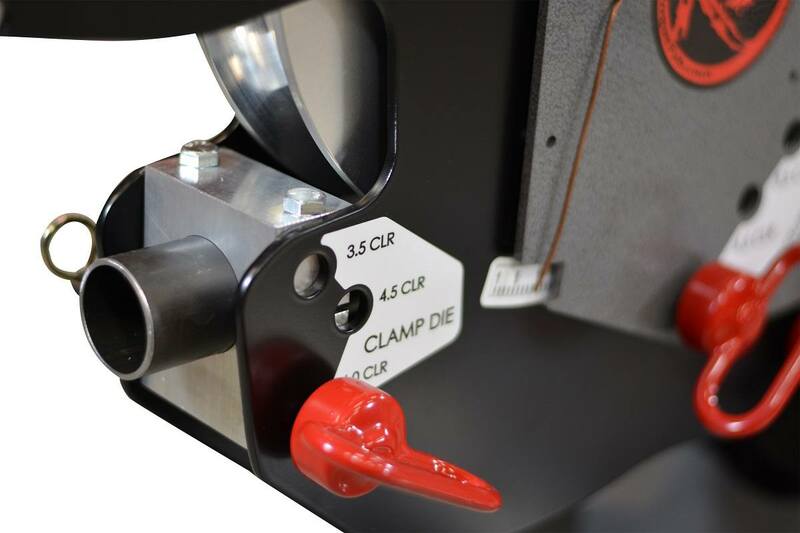 For a complete range of wall thickness this tubing bender can bend for any material, go check out our Wall Thickness Chart (LINK)and you will find the range of wall thickness that it can bend for stainless, carbon steel, and aluminum. Glad to hear things are going well. Let us know if there is anything else we can help you with. We appreciate your business. Purchased weld together kit a while back. Assembly was straightforward with clear instructions. Joe got the package out to me quickly even in the middle of an Oregon snow storm. Stickers were left out by mistake which was quickly rectified, definitely one of the best companies I've dealt with customer service-wise. Originally added an electronically controlled air/oil system, currently running a 3-phase hydraulic unit and double acting hydraulic cylinder setup. Thanks for the review. We are glad you are happy with your purchase. We appreciate your business. *claps hands* LET *clap*, ME *clap*, TELL *clap*, YOU *clap*! This sucker is balls to the wall the best bender for the buck, maybe not even for the buck, maybe on all levels E-V-E-R! I am what some would call a NOOB, but listen if I can weld it together, make repeatable bends, and not break anything and make products that people want to buy, you, can, too! Product Support has been great, I had my share of questions before buying and even a couple after buying. Here are some of the sliders I have been able to make using the 1.75" x 6" die. Just look at them, would ya just look at them! But seriously, a great product, by a great company! I love this bender. Its the first one i've ever owned. Its super simple to use. I bought the weld together kit and it went together very easy. I got my xhd kit the day after I talked to rogue about getting it. I’m local so just picked it up. Everything went together flawlessly and I had never bent tubing prior to having this bender and it’s been super straight forward and easy. Even to centering a bend it a tube. 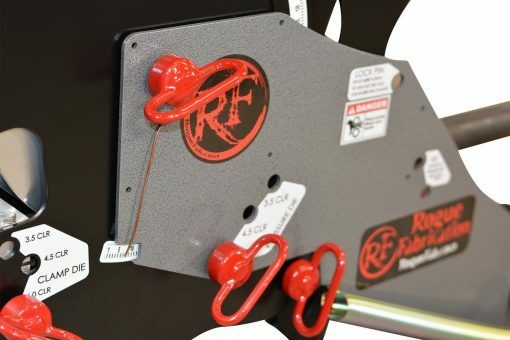 They give you the takeup measurements and offsets it’s been amazing I would recommend going rogue fab if you are new to bending or experienced. Love my m600 with HD kit. I've never personally used a bender and with the write ups on this site I was able to put the bends exactly where I wanted them. Only problem I had was a pressure die rolling on me and denting a tube. I will be upgrading to roller dies in the near future. Very nice product and very top notch customer service hands down one of the best I’ve ever dealt with. Great bender. Works better than the others I have tried. Very nice bender. Easy to setup and makes quick work of the tubing. Definetly recommend roller pressure die for easier tube mounting in a jig. Great quality easy to use and great customer service! Recommended highly by me! Went with the weld together kit. Really straight forward instructions. Welded up nicely and works great has more capabilities than I have a ability. It's good to know I wont out grow it. Excellent product! Very well engineered this becomes evident in assembly. Shipping was quick and communicated efficiently. Top notch customer service was also a major plus to this purchase. Thank you I will be back for more Rogue products! Purchased the M600 xHD. Picked up the Tubing bender from their shop and had it welded together the next day. Very easy to weld together. Was easier to watch the video's then to read the directions but the directions were good too. The bender worked flawlessly and the math was right on. I built a cross member for my B-pillar on my XJ Cherokee. It had be custom built because I have a Two door Cherokee and I still wanted to use the back seat. Finally finished painting and assembly on my M600HD and it is awesome. I am bending up some inner crossmembers for a 50 Nash I am building with a modified C3 chassis. The kit is the way to go, everything fits perfect. Highly recommend this bender!!! 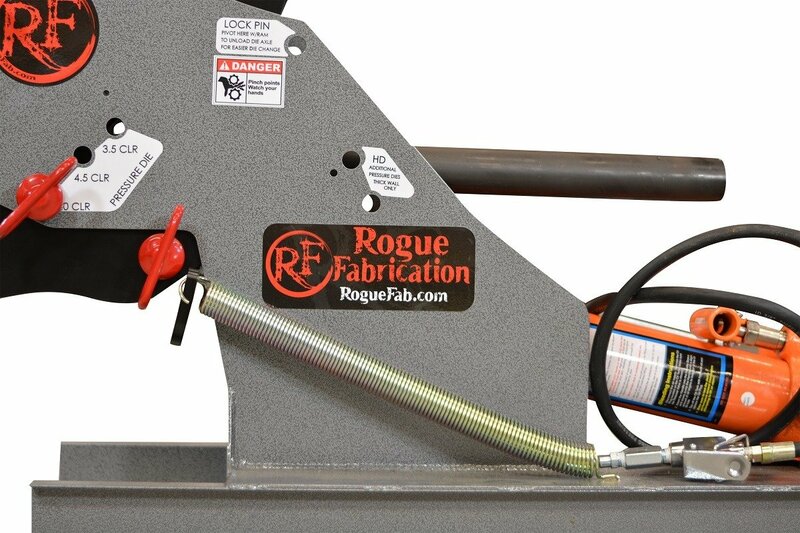 This bender makes precise, repeatable bends at a great price. We bought it to bend anodized aluminum and our first test was a 180 degree bend and it was perfect with hardly any distortion. I would recommend getting extra clamp blocks to make multiple bends easier. I bought this machine a little over a year ago. I'm very impressed with it. It works great and the bend quality is awesome. and if you have any questions or concerns they get you taken care of very quickly. There customer service to top notch! This bender is great but the customer service from Joe and the crew is even better! 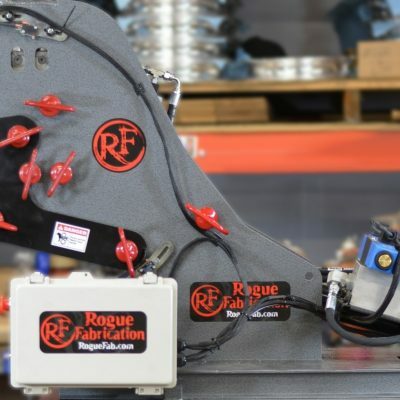 Buying from Rogue Fab was the right decision for me, easy to use product and they back it up if you have a question or need help. I absolutely love this bender I was a little worried how hard it would be to use and assemble but it was cake work. The customer service was top notch and the product is truly a quality product. I have several of rogues products and I will continue to get more. Great product. I purchased the weld together kit and a couple dies. Shipped quick, packaged well. You can not beat this price for a bender that will do 90 degree bends in one pass while you push a button. Being able to take the piece out with the clamp block in place and verify bends is priceless. I bought one of these about 4 or 5 months ago to do a prototype umbrella stand for a nearby city. I mainly do fabrication as a side job and I had been looking at this bender for a while for rollcages. Since square tube dies were available I went ahead and pulled the trigger on it. I sure am glad I did. I finished the prototype with this bender and got asked to build another 40 down the line. 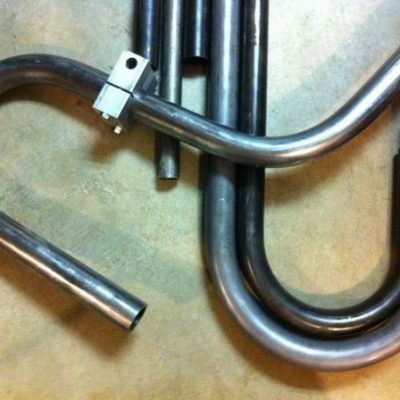 I just finished bending 40 hoops out of aluminum square tube and I have to say this bender did absolutely amazing. I used the UHMW pressure die and it left no marks on the aluminum. Throughout all 40 180* degree bends the machine was more than consistent and I was thoroughly impressed by it. I've used two other benders in the past, the first was an old school manual one (yikes, that one was rough). The other was a competitor's bender that was also hydraulic. It was borrowed from a friend in order to build a rollcage for our Lemons car. While it worked, it lacked things such as over 90* in one bend, you don't realize how useful this is until you have to make a bunch of 90* bends and you have to reset the machine. With this machine, it not only does 90* in one go, it does 95* which is great since all metal will come back some. This is getting to be a somewhat long review but I'd also like to add that I was very impressed by the thought that went into this bender. 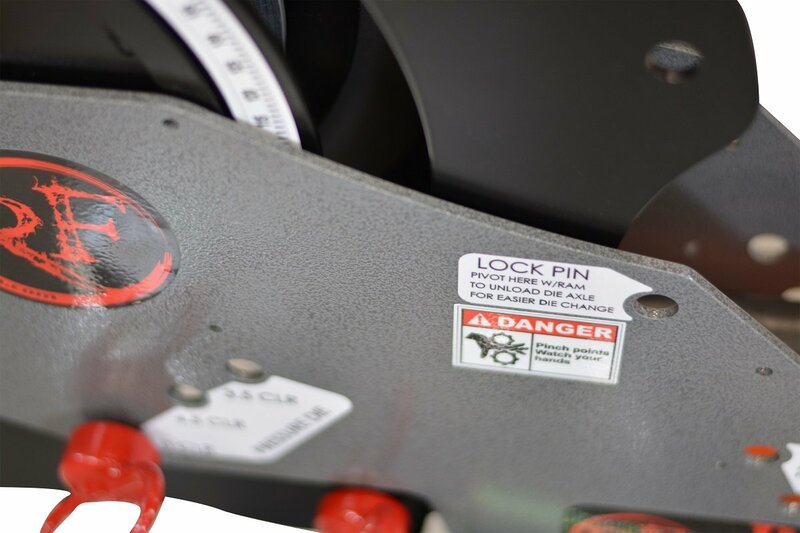 As an engineer, I can say that a lot of thought was put into the design to not only be a tough bender, but be one that's extremely easy to put together and even easier to use. 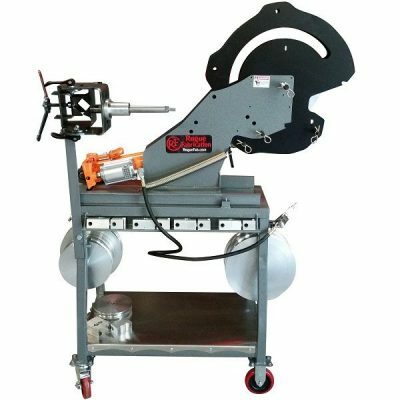 Overall, I was extremely impressed with the bender and I can't wait to continue using it this summer since I have some more rollcages to build. Oh, and the customer service here is absolutely amazing. There's really not much more you can ask for from a company, great product, American made, and amazing customer service. Awsome tool to have! I have had it for a year bent numerous exo cages with absolutely no fail. Just need to upgrade to the roller pressure die and HD pin. So far I love it. 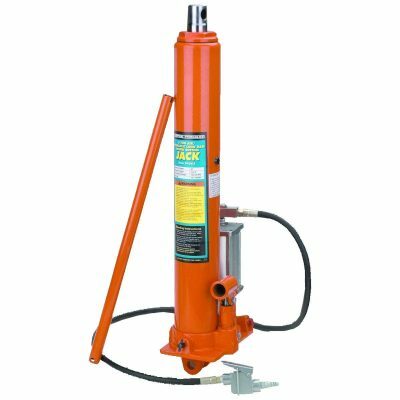 I've used the pedestal style benders before, but you have to have them mounted to the floor which was impossible at my location. I haven't been able to use it much since I got it, but started on a bumper and it bends like a dream. Just don't forget to grease the die. I only botched the first bend because I forgot. After the short learning curve I've been rolling right along. The quality of the bender itself is so nice I almost feel guilty for using the cheap harbor freight ram on it. I am really glad I did a bit more digging, while researching for a bender. Because I was real close to going the manual pedestal route. I watched some instructional videos and ran across Joe's videos at Rogue. 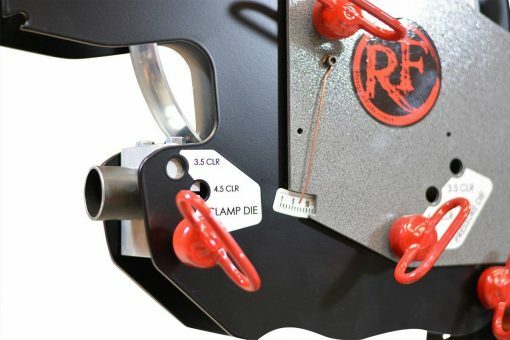 Thanks Rogue Fab for making my life so much easier. Awesome product. Shipped quickly. Quality of parts and instructions was great. Added the air powered jack. Great machine. Have to get the table next. Thanks. Super legit machine! Accurate bends and being able to place tube back in the bender to bend in the exact same place is rad! 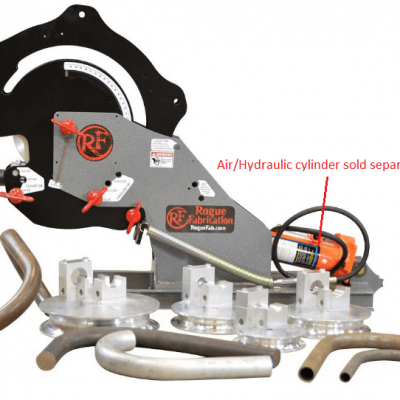 Purchased the weld together model 600 system in January 2015 due to the quality and pricing. Since I've been bending cages and bumpers for various projects. This bender is a piece of art and American Made! You won't regret and product purchases from Rogue Fab!! Looked long and hard for a bender that could do what I needed in the space and budget I had. Quality is good. Weld together option was nice to save more money.bender bends up towards ceiling and gives you more room for working vs other benders. Best bang for your buck out there. Bought the model 600 weld together kit a few months ago. I love this machine! I received in a professionally packed box. Heavy one. haha. Got it welded together in about an hour and took it to my powdercoater. Building my Rzr cage with it at the moment. Great deal for this high end of equipment. A real workhorse! Expertly engineered, a great price and excellent customer service! This is an absolutely amazing machine. I ordered the weld together kit and the quality of the steel is outstanding. The dies are almost too beautiful to use.